James Kirkland vs. Alfredo Angulo: Will their war end quickly? Both James “Mandingo Warrior” Kirkland (29-1, 26 KOs) and Alfredo “Perro” Angulo (20-1, 17 KOs) will be in seek and destroy mode this Saturday night when they headline another edition of HBO’s “Boxing After Dark” in Cancun, Mexico. Their hype to fight first appeared in 2009 until promotional and immigration issues sidelined Angulo for over a year. Gun charges sent Kirkland away for 18 months. Angulo returned to the ring this past August and starched James Gomez. Prior to that encounter, he stopped Joachim Alcine in the first stanza. Two fights in two years could mean a bit of rust for Angulo. Kirkland's frenetic style should help shake the cobwebs out of Angulo's punches. The only blemish on Angulo's record was a surprising loss to former champion Kermit Cintron who had the speed to outbox Angulo. For Kirkland, this will be his third fight since his shocking first round loss to Nobuhiro Ishida six months ago. He returned to trainer Anne Wolfe soon after his loss and his since rebounded with two knockout victories. Kirkland and Wolfe's break-up was a mystery. 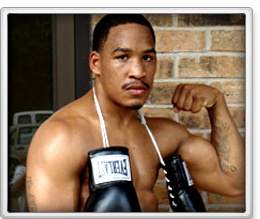 In the ring without Wolfe as his trainer, Kirkland knew something felt different in the ring. “My timing and my movement, the whole package, to me, wasn't quite right," he said. Angulo will have Hall of Fame trainer Nacho Beristain in his corner on November 5. “I’ve had a great preparation with Nacho Beristain. Nacho is very good trainer, and I’m very happy with him. He’s not trying to change my style, he’s enhancing it, “he said. Kirkland is ready to apply the pressure. “I know Angulo is a come forward fighter, and I am ready,” he said. Kirkland, 27 and Angulo, 29 have one common opponent in Joel Julio. Kirkland managed to stop Julio five rounds earlier then Angelo. Southpaw Kirkland stands 5’9 while Angulo is an inch taller. Neither fighter has an advantage in speed. The intangibles are the fighter’s whiskers. Even before the Ishida defeat, Kirkland’s chin had questions. Angelo found himself staggered by Richard Gutierrez in 2008. The hard-hitting Angelo has knocked out five straight opponents since his loss to Cintron. The winner could be the first fighter to land solidly on the other’s chin. Kirkland will hear the bell and go for broke, while Angelo will lock and load his right.